We value the feedback we get. We think you will, too. We make more than 1000 deliveries every week across the country. A few days after the delivery, our customers get an email survey about their experience, with 3 simple questions. 'How likely is it that you would refer us to a friend/client? Please share your product quality and rate our customer service experience. You'll see below how much feedback we get every week. We love to hear the good, and pay special attention to problems. We don't smile until you do. Comfortable, durable and cost effective. Great after sales service as well. We have purchased our office furniture from Blue Crown. From Inquiry stage to installation we found Blue crown Team is well experienced and they offered quality product. 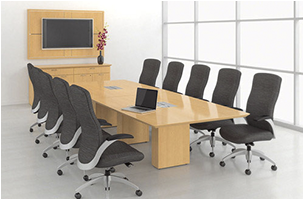 We had a great experience sourcing our office furniture requirements from Blue Crown Furniture. They made our task very simple by understanding our requirement, budget and showing exactly what we were looking for. Delivery was On time and Also some minor glitches after delivery were immediately taken care of without any follow up. The team at BCF is very professional company led by a team of seasoned Leaders , Boasts of a Good Range of products backed up by a good Technical team for delivery . No Hesitation to recommend them for Good service & value for Money . To whomsoever it may concern We have been dealing with Blue Crown for some time now and we have got their supply/services for Emal PH 1 & 2, DWTC PH I, II & III, MJR PH IV, LA MER, BEE'AH and other contracts bagged by Al Futtaim Carillion LLC. M/s. Blue Crown have executed all the jobs to the utmost satisfaction of our Clients/ Consultants and without any hassle. I have been dealing with Blue Crown for the last 15 years and have moved 4 offices till now with their furniture. We never felt a need to look beyond Blue Crown because of excellent range, extra ordinary service and best prices. They are the best in their field for me for any requirement of office furniture I use and highly recommend Blue Crown. Two times I have done business with you and Both the times I coordinated with different sets of people as the products were different. Both times my query was promptly handled and clearly executed. I just wish all our requirements were handled by others also so well. When you need personalized touch for your office then Blue Crown Furniture. They are very prompt and they have solutions for all your office needs. Just Fantastic. It was amazing how Ganesh understood our requirements and delivered exactly what we needed. Abu Dhabi International Contracting Co.
Sharath Shetty Sales Executive is very nice and professional.